Whether it's an emergency replacement seal made to specific dimensions, a prototype seal for use in a prototype assembly, or a small, economical batch of seals, Xpress offers precision seal manufacturing with the best quality materials available. Our objective is to turn your order into a precision-made product that is ready to dispatch as quickly as possible. 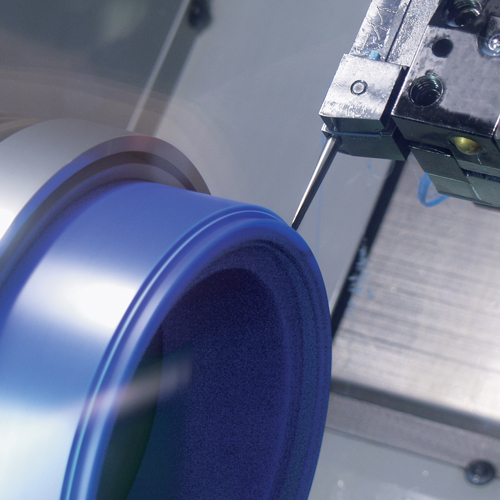 Freudenberg Xpress Service Centres are able to manufacture not only standard sealing products like rod wipers, piston seals, backup rings and guide rings, but also formed parts made of elastomers and plastics, such as bellows, diaphragms, plugs, covering caps and more. A sample or a drawing is all that is required for our engineers to design and manufacture your product. This is critical not only when a seal is required as an urgent replacement, but also when a new process or product development requires a prototype part or seal to be produced cost-efficiently (which can in some cases save a project). You can read more about our Freudenberg Xpress Service Centres on Freudenberg Sealing Technologies' corporate website.